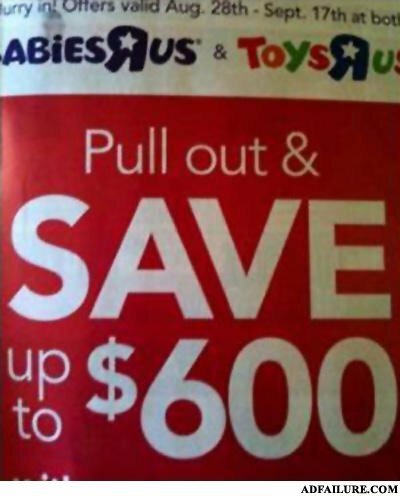 More like pull out and save up to $600,000. i will follow this ad from now on u hav my word..............and my sword...................and my bow........................and my Axe!!!!!!!!!!!! You would save more if you think of it ling term. Colleges, food, clothes, etc. Catholics will have saved a mint by now ! Best Tramp Stamp EVER!!!!!! "PULL OUT!!!" ...in housing costs AFTER you r chaged with exposing yourself. What did the retarded asian dolphin eat for breakfast?